My business travel dried up in 2011 as a result of a change in my work assignment and as a result I have not collected many frequent flier miles since then and those I have were about to expire. As a result I booked a couple of tickets to Rome as my partner has never been there but it was on her wish list. 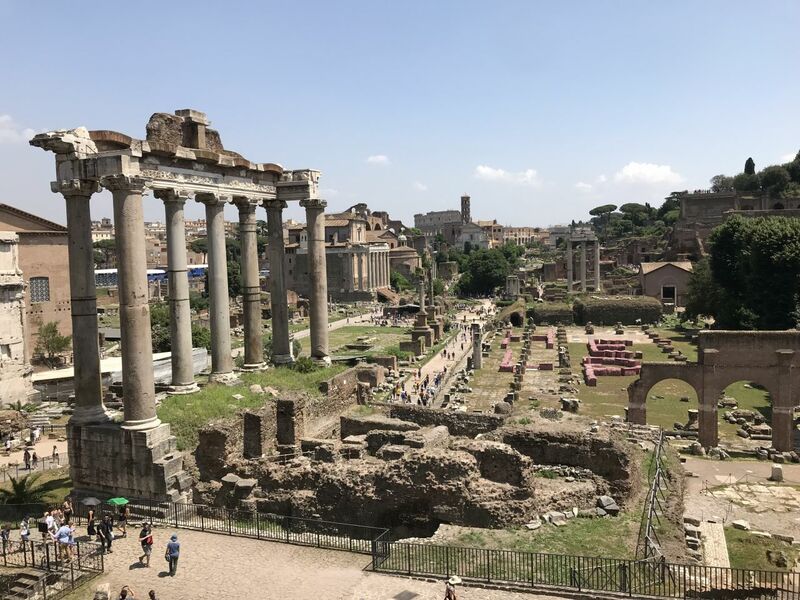 A quick check tells me I have visited Italy nearly forty times on business but never on holiday so I was also pleased to be able to do some sightseeing in the capital city. I would have been happier to have been able to go there a little earlier in the year before the tourists arrive but we had used that time slot (end of April) to visit England with friends. 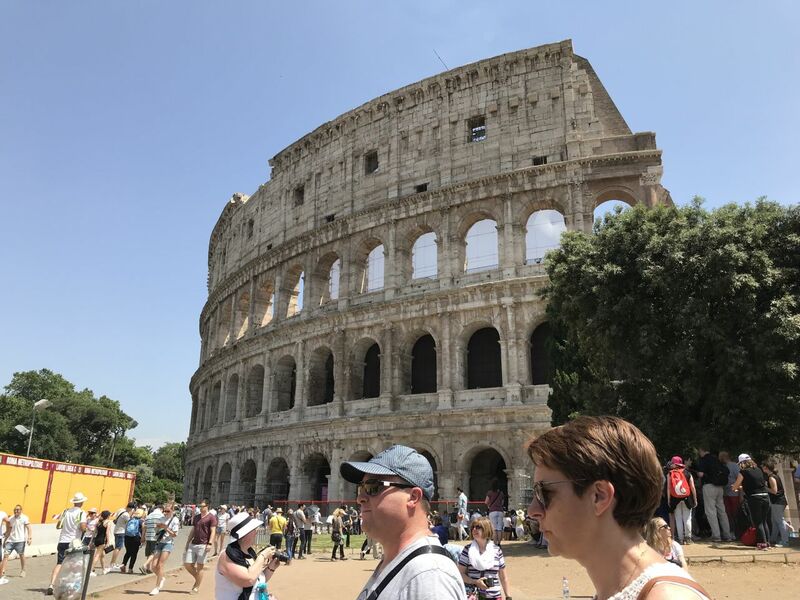 Not only were we in tourist season but it was an unseasonably hot period both at home and in Rome. We had temperatures between 27 and 31 C every day and the evenings were around 18-24 C. Fantastic! 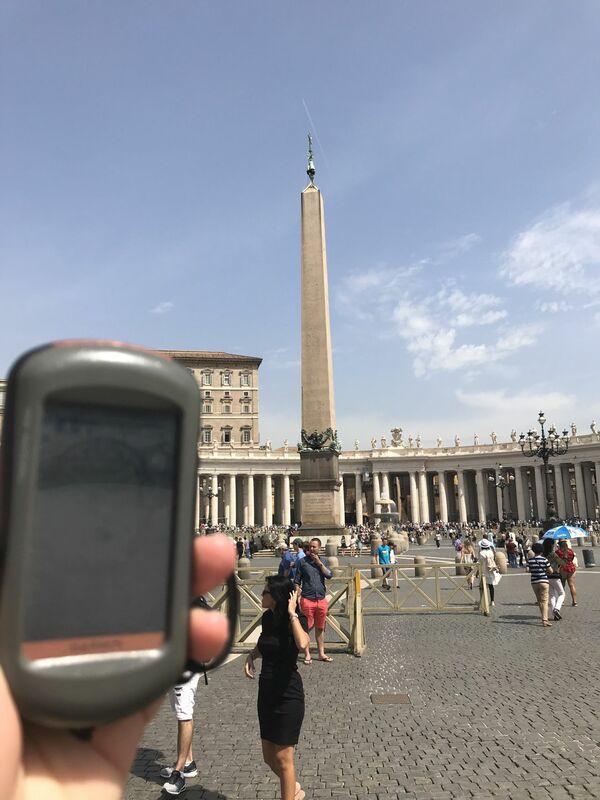 I was also looking forward to the trip as my goal was to find at least one cache in Italy and one in the Vatican State, both of which were new geocaching countries for me. 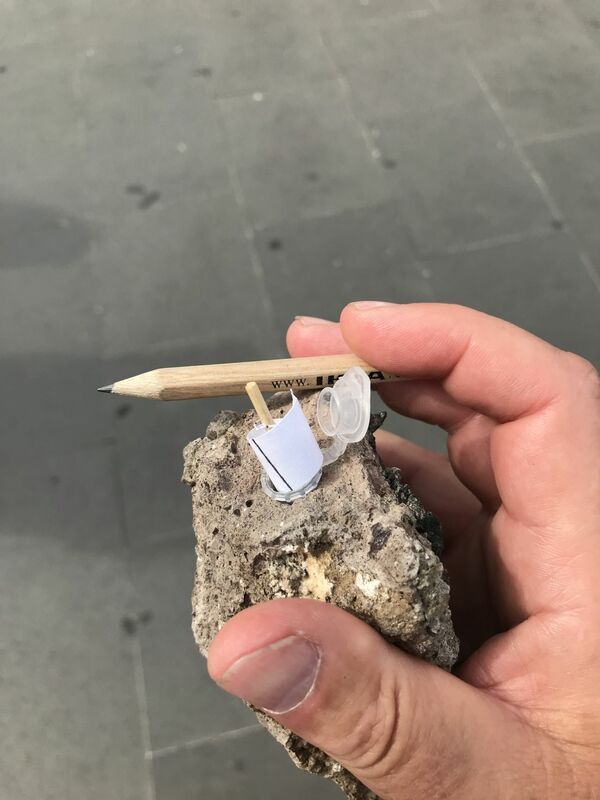 I didn’t really know what urban caching in Italy would be like so my first precedent was to look for earthcaches as there were quite a few in the city. We were staying in the north of the city about twenty minutes walk from the Vatican but as our first full day in Rome was a Sunday we decided it was not a good day to visit the Vatican. We turned east instead and walked through the Borghese park then south to the Spanish steps and back over the river by San Angelos castle. That is where my first find was made. GC6ZE8T Ricixxx-Ponte Umberto I. As expected for an urban cache it was a micro, but none the less it was hidden out of sight from muggles but in an obvious place for a geocacher. Nice. 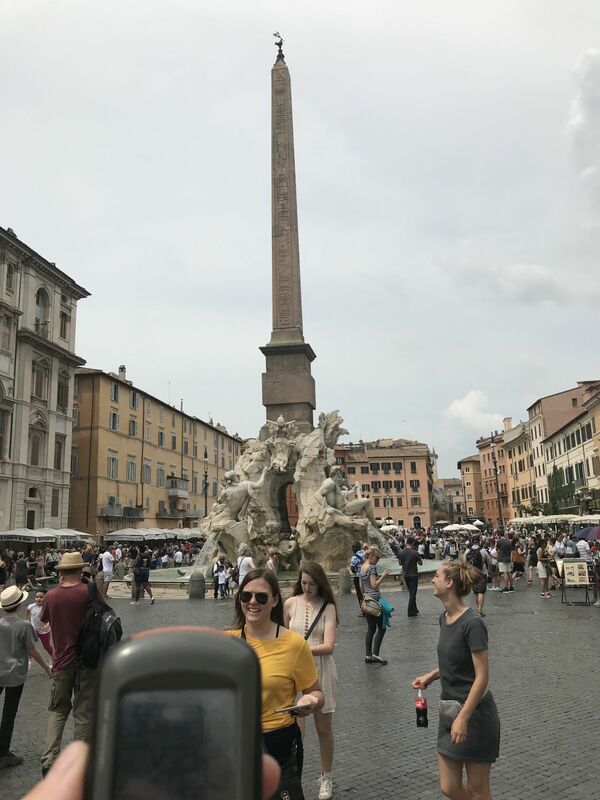 We made our way to the Vatican State on Monday and this is where I was pleasantly surprised to see that there would be an event there in the afternoon as a complement to the two earthcaches in St. Peters Square. As you can see from the logs (GC7PC5Y The innocent have nothing to fear!) we were three cachers there, Freddo the organiser, Papa_Francis_I and myself. The earthcaches were typical for Rome and focus was on granite and travertine. Many of the buildings are built from the light cream coloured travertine. 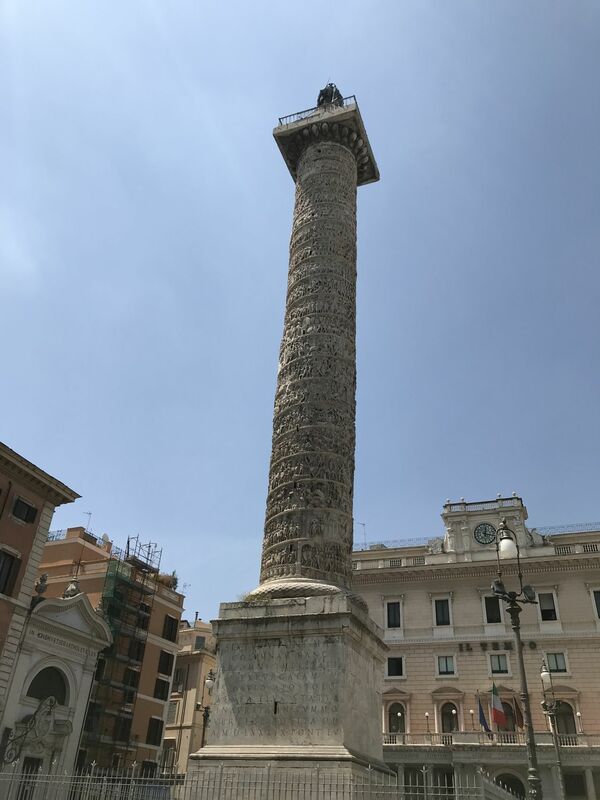 The two earthcaches were GC487RN AGT 40: VATICAN OBELISK and GC71Q8V Travertino di Piazza San Pietro. 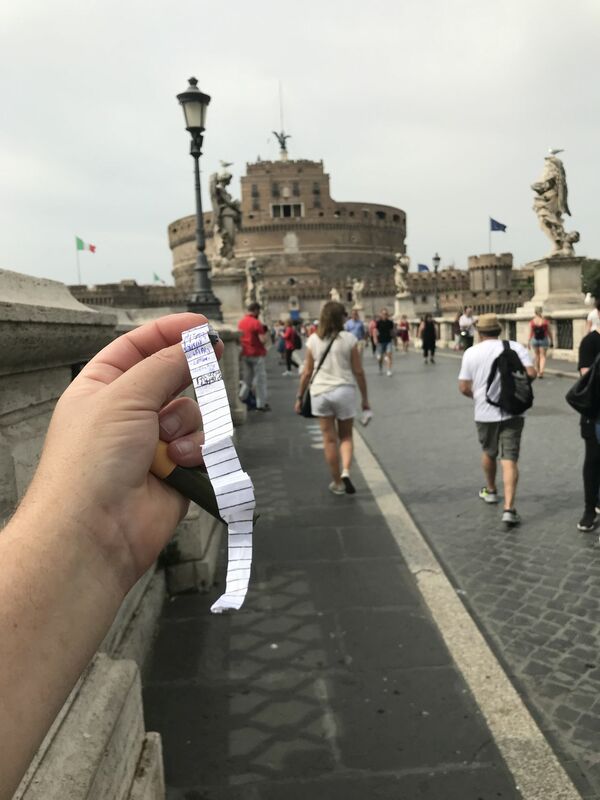 A cache just outside St. Peter’s square was well constructed, so a muggle wouldn’t suspect anything, yet was in Italy not the Vatican State. Well, at least I got three smilies from my visit to one of the religious capitols of the world! The day was rounded off with a further two earthcaches. A further three traditional urban caches were found. The picture below shows one of them. 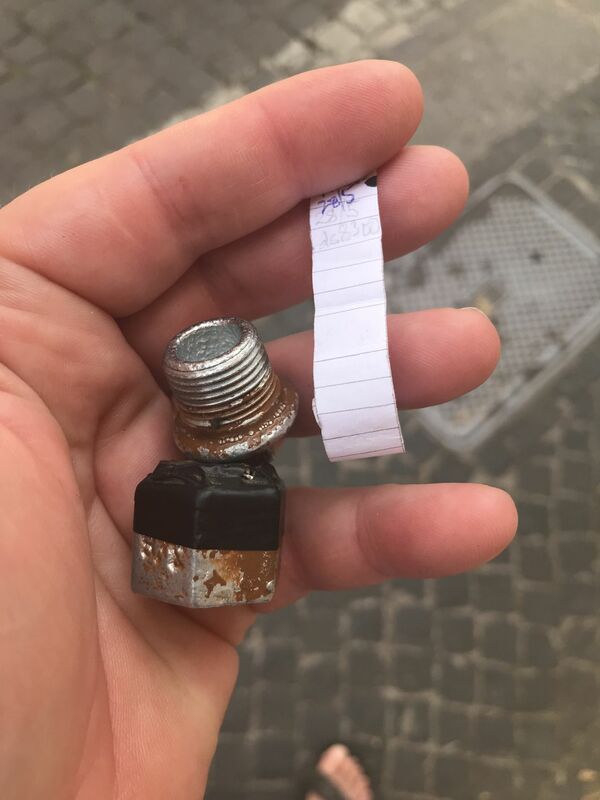 Even though the main reason for the week in Italy was vacation I was pleased to find a few caches. Since getting back to Sweden my geocaching activity has reverted to zero with the exception of some cache maintenance.